Is it Winter? I'm pretty sure that Autumn has wandered off somewhere and got lost. Winter has definitely taken up residence where we live! 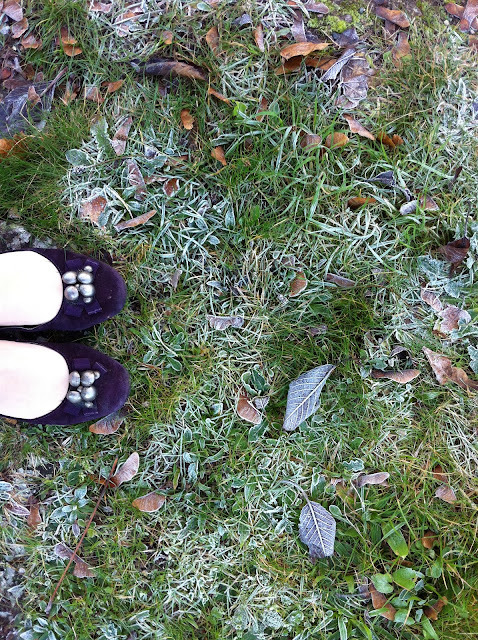 *brrrrrrrr* Despite my unsuitable footwear above I've been all snuggled in sheepy boots, scarves and my wonderfully cozy tweed jacket. Poor little Howard is feeling the cold, so a nice warm jacket is on the shopping list. I've been sew, sew, sewing with some new strawberry fabric from Clarke and Clarke. 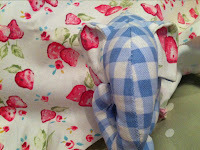 Mr Strawberry Elephant is a present for a friends tiny man...I hope he's fed lots of strawberry jam! 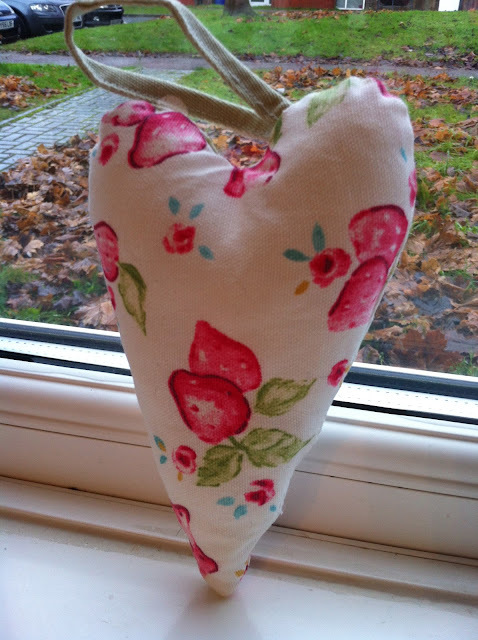 Hearts are also multiplying....even though I live in a house full of males...! Oli and I have been going crazy with scissors and have been making snowflakes to match the weather. That boy has a way with scissors, and is loving being all crafty. Christmas is mentioned every few minutes and we're all being caught up in the childish glee the season brings.